How to convert a trial to a stand alone license for 1Password 7 mac? I down loaded 1Password 7 for mac from the website, but it would not give me the option to buy a license. I only had the option to start a trial. I want to take advantage of the special pricing for the Stand alone license, but it looks like I only have membership options to purchase. How do i get the option for a stand alone license with the ability to sync via dropbox? I would like to know this as well. If I need 1Password on iOS then I cannot buy standalone licenses? I wouldn't mind being limited to read-only on iOS. On iOS the basic features a free, and Pro features are available as an in-app purchase (once signed out of any membership accounts). Not really, and neither on the APP Store, nor your website does the PRICE for a license ever seem to appear. Is this a case that you only know the price after you have made a choice, without that information? We’re no longer advertising licenses, which is why you won’t see information about them plastered all over 1Password.com, but they are still available for folks that know that is what they want. The App Store no longer sells 1Password licenses. And the price is....? And it can be purchased where....? This is some terrible transparency guys. I'm glad I won't be having to jump ship to a competitor, but I had to dig like crazy to find out if I even could keep a standalone program. (Which is a deal breaker for me -- Happy to pay for the upgrade, but do not want a membership.) You really need to explain this better. Oh my god. This really is as bad as everyone has said. You try to purchase a new standalone account under the cheaper price. It hides it as best it can, putting memberships up front. I say, 'No thanks, purchase a license'. It takes me to another page, which demands I (wait for it!) subscribe! Is this intentional, AgileBits? Are you really this shamelessly obstructing the purchase of single licenses? Because this is coming across as absolutely shameful. Licenses will cost $64.99 but are available during our launch special for only $49.99. Licenses are per-person, per-platform so you can use your single license on as many PCs as you have. 1Password 7 for Mac is a separate purchase. @Ymo: As someone who's watched us spend the better part of the last year getting the new Windows app ready for licenses and local vaults in response for customers asking us to, I find this ironic. We're also working on local vault stuff on Android currently getting ready for version 7. The tales of us making everyone move to memberships (which would have made more sense two years ago, before putting in all this work) are greatly exaggerated. We’ve mentioned in a huge number of threads that 1Password 7 licenses can be purchased in the app. We’re intentionally not endorsing that link because it isn’t a supported way to purchase a license. The only supported way is from within the app. and frankly find this behavior a little surprising and insulting. I’m sorry that we’ve made you feel that way. As a owner of 1Password for a dozen years, I, too, am a little irritated by all this. You say it's ironic that I want to remain a "stand-alone" buyer and not a subscriber because so many other people want a subscribe option. I don't see any irony, What's ironic is that you keep pounding in the point that 1Password is still available as a stand-alone purchase, when that option has been completely wiped from your website; the only way I could figure this out is by searching your discussion page. That's kind of slimy. Furthermore, I sent in a support ticket while trying to figure this all out, and after a week, the response I got was that I could buy a subscription. The response completely evaded my question. I feel like a sheep being pushed off a cliff. I don't want to feel like I need to trick the installer into allowing me to just buy the application, without getting enrolled into a monthly bill. Clearly I'm not the only one who's disgusted by all this. Please don't make assumptions about all your committed power-users and toss us all into the same group as the novices. @incolor: Begging your pardon, but I think you misunderstood my comments. I probably didn't communicate this well, but the irony I see is comments that we don't care about standalone users in light of how much work we've put into building support for local vaults and licenses into the new Windows app, and continuing to support them across all platforms. It would have been much easier for us to not do that, both from a development standpoint and also with regard to support. What's ironic is that you keep pounding in the point that 1Password is still available as a stand-alone purchase, when that option has been completely wiped from your website; the only way I could figure this out is by searching your discussion page. That's kind of slimy. Slimy how? You may not personally be interested in a 1Password.com membership, but there are many more people who are, and both we and our customers had enough of the added confusion of presenting both side by side. This is not a new change, and in fact for over a year after introducing 1Password.com memberships we had things setup that way. 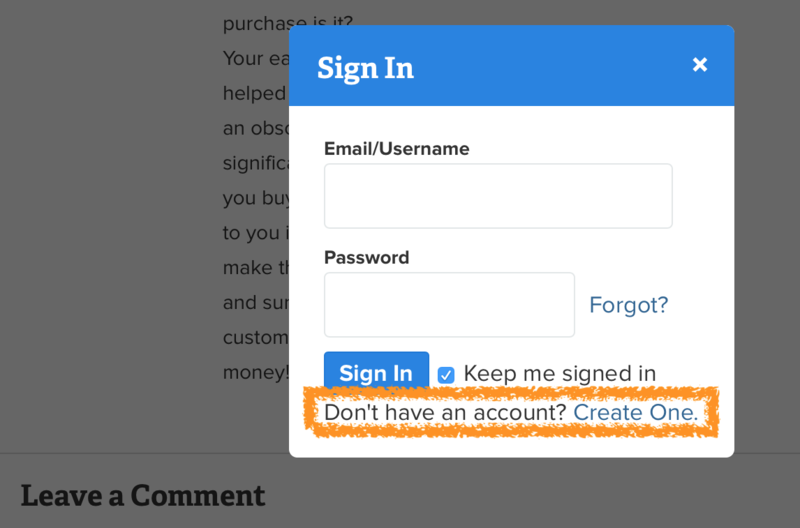 I appreciate your position, as someone who perhaps doesn't care that we offer a subscription option at all, but 1Password.com memberships offer what most people want and expect these days: a ways to use 1Password seamlessly across all their devices — no separate purchases for different platforms, upgrade fees, or sync settings to fiddle with. I'm sorry for the confusion the new site has caused you, but when we were inundated with emails from people purchasing licenses who were confused, frustrated, and angry when they couldn't use 1Password everywhere, it became clear that this was the only way forward. No. You asked about the Master Password, not licenses. And David didn't mention subscriptions or 1Password.com memberships at all in his reply to you. If you have other questions, please don't hesitate to ask. But he answered the question you posed at that time. I feel like a sheep being pushed off a cliff. I don't want to feel like I need to trick the installer into allowing me to just buy the application, without getting enrolled into a monthly bill. No tricks are necessary. If you setup 1Password 7 with only local vaults, you'll be prompted to purchase a license for it. But if you have any trouble at all getting the app setup, just let us know the specifics so we can help. Clearly I'm not the only one who's disgusted by all this. Please don't make assumptions about all your committed power-users and toss us all into the same group as the novices. Most people are not "power users", and that's okay. This doesn't need to be an "us versus them" thing. We're here to help you too, even if you don't consider yourself to be a "novice". You can dissect each thing that I said and come up with an answer (or not) from your company's POV, or you can listen to what I'm reporting from my POV. As the customer, it's not my job to care about what your problems are. As the seller, it is your job, however, to listen to what I'm saying and try to prevent me from experiencing grief. With all your responses, you still didn't address the problem from my shoes. There are several mentions about being able to use 1P without a subscription, but there are no instructions about how to do so. And every path I start down ends me at a nudge to subscribe. Yes, if I keep going down that path, eventually I end up at a place where I can buy without subscribing. That's what I'm calling slimy. More appropriately, it's confusing and frustrating. I kept feeling like I was doing something wrong and I was lost. Again, you can come up with an excuse, or you can completely disregard me as a complainer, but I'm a computer user of 40 years, and I've never bought a software upgrade like this before. As a long time user of 1P, I'm dissatisfied with the upgrade process. A smart company listens to their customers when they point out problems. @incolor: I'm sorry you feel that way. We do listen, but can only do so to what you tell us. What is the specific point where you're stuck getting setup with a license/standalone? I'll be happy to help with that if you'll let me know. There's nowhere in your store where you can simply buy a standalone license. We no longer have a store. 1Password licenses are sold by FastSpring within the 1Password apps. Try a 1Password membership free for 30 days, which includes 1Password 7. Purchase a license for 1Password 7 for Mac. To get started, download 1Password 7 and install it. How can you buy a standalone version of 1Password? Download 1Password 7 and select the “need a license? We have those too” option. In retrospect, it seems clear after I've done the upgrade, or had I'd already understood how the process would play out. But otherwise it's not clear. You could say something like, if you want to upgrade a standalone license without subscribing, then you will be given that option after installing, during the registration process. In any case, like I said, it seems clear if you already understand the process. It wasn't clear to me, and I read that page at least three times before I decided to just jump in and take my chances. Call me an idiot if you wish, but I'm also a developer of many years. Thanks @incolor. I certainly don’t think you’re an idiot. To be fair we intentionally aren’t “in your face” with the standalone licensing option, but we do want it to be a painless process for those who do decide to go that route. We strongly feel that membership offers the best experience and value for the majority of customers, but obviously there are a portion of customers who feel licensing is the right choice for them. Well that's annoying. You can type in a comment, but then it asks you for your "Comment As....." and you lose your comment. A bit dumb for a software company to not ask you to register first. Huh? Well I totally agree with "incolor" and "ralphthelizard". You have gone to the subscription pathway to eke more money out of your customers. Lifetime purchase is not really a lifetime purchase is it? Your earlier customers helped you survive, helped to bring you to this point, Now you have an obscure upgrade pathway that costs significant money. Oh but there is a discount if you buy within a certain timeframe!! My advice to you is to fix your business principles and make the upgrade process transparent to all and sundry. Secondly look after your foundation customers. Stop trying to screw them for more money!! Well I totally agree with "incolor" and "ralphthelizard". You have gone to the subscription pathway to eke more money out of your customers. I don't know about all that. We're working harder than ever. Running a service like 1Password.com and continually developing that and half a dozen different apps costs money. But sure, we make money off of 1Password memberships and licenses. I can't imagine you don't get paid for your work. We do too. Lifetime purchase is not really a lifetime purchase is it? We've never sold anything that said "lifetime". 1Password licenses don't expire, but they're for a specific version of the app. That's been the case since the beginning. If your preference is 1), click here and subscribe to a 1Password membership plan that fits your needs after using the free trial. If your preference is 2), click the link for the version you want — Mac or Windows — and download it. You can then purchase the license from within the app to remove the "read only" restriction. But if you need help with either, just ask. We're happy to assist. I came here with the same question -- eight months later. I couldn't find a way to even the cost of a standalone license. You have all the same links there now despite your customers telling you they're not getting the information they need from them. If your interface is causing confusion don't you think you should look into changing it rather than telling customers they're wrong and that it's OK? What you think of it doesn't matter if it doesn't work for customers. OK, so I could download the installation file and then maybe find out what the price is. Who wants to do that? Your pricing page for subscriptions is pretty clear. Can't you put the price someplace instead of requiring people to download and install software to "unlock" the secret price? Would you take a product home from a store before finding out what it costs? FYI, I had to come to this eight month old forum thread to find the price of a standalone license. Everything about membership is easy and transparent. I just spent a lot of time trying to find the standalone price including many searches of your support pages. I finally found this thread through a Google search (off your site). Like incolor I'm a long-time computer user, coder, builder but longer in my case having started with mainframes 50 years ago. I shouldn't have to say this but I guess I'm not the only one who does. This is all a really easy fix compared with trying to explain to customers that they're wrong. Astonishingly bad practice. BTW, I'm getting a subscription. I thought I probably would but I just wanted to do was see all the options before deciding. That should be easy. @msimmons: I'm sorry that you've had some trouble, but the last post in this discussion was in July and we have had people purchasing since then, so I have to disagree that it's as difficult as you make it out to be. As mentioned above, licenses are available from within the apps themselves, so that someone using it as "standalone" without a license can easily purchase. And if you follow the links I posted back in June, pricing is included in the announcements. We do focus on memberships though since that's the best option for the vast majority of people -- including, apparently, yourself. We've tried the alternative and it caused much more trouble, as there certainly was not a lack of additional comments for months regarding confusion where people were purchasing a license and expecting it to work on all their devices.